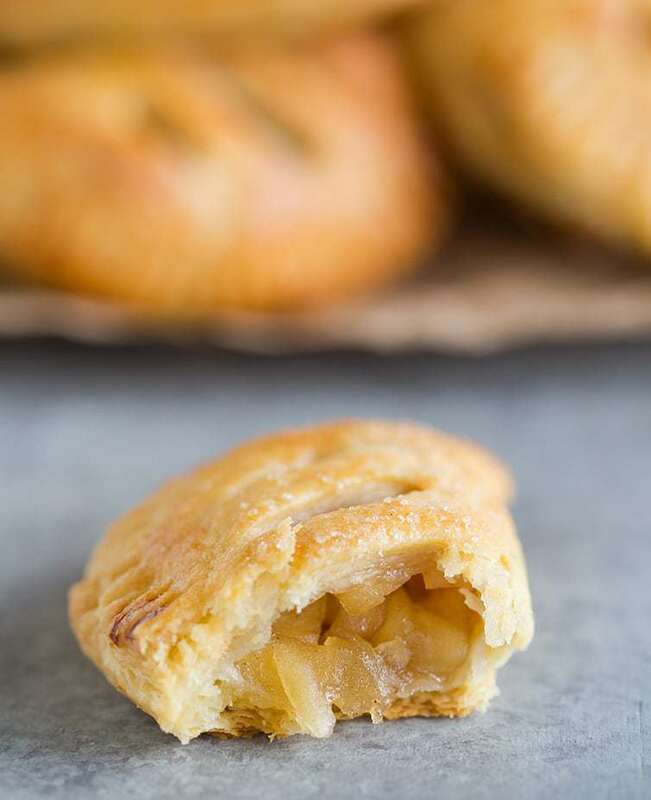 These Apple Hand Pies are portable and delicious, and bring back memories of those little pies in the grocery store checkout line. You could use this base pastry recipe and mix and match all sorts of pie fillings to suit your tastes and use up seasonal fruit. Apple Pie: rustic, flaky, tart, and spicy. The most iconic of American traditions. 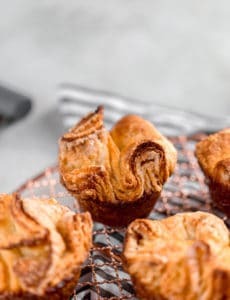 These marvelous little pies package up the best parts of apple pie, eliminate a lot of the work, and deliver scrumptious, addictive fruit-wrapped-in-crust that can be stowed away in your pocket for safe keeping. I originally shared these apple hand pies with you way, way, wayyyyyyy back in the dark ages of 2008. 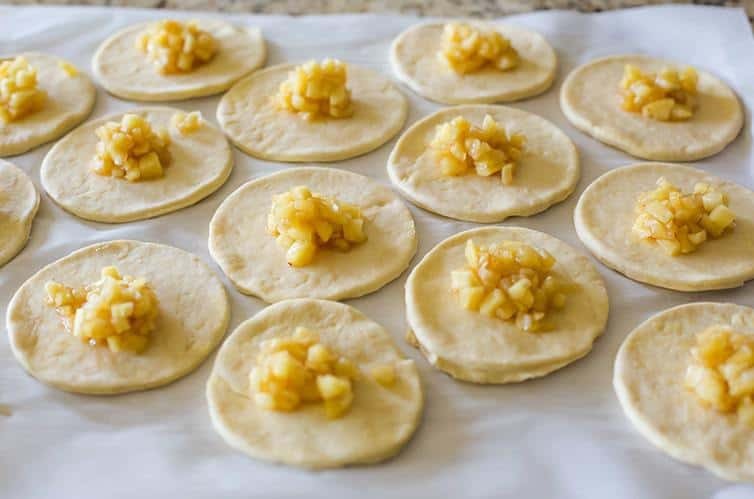 It’s been quite a long time since I’ve made them myself, but when Joseph saw an episode of his favorite show, Hey Duggee, and it featured an apple pie, he proceeded to walk around the house saying “apple pieeeeeeeee” for days and days. He’d never had apple pie; how could I deprive my child of something so delicious?? 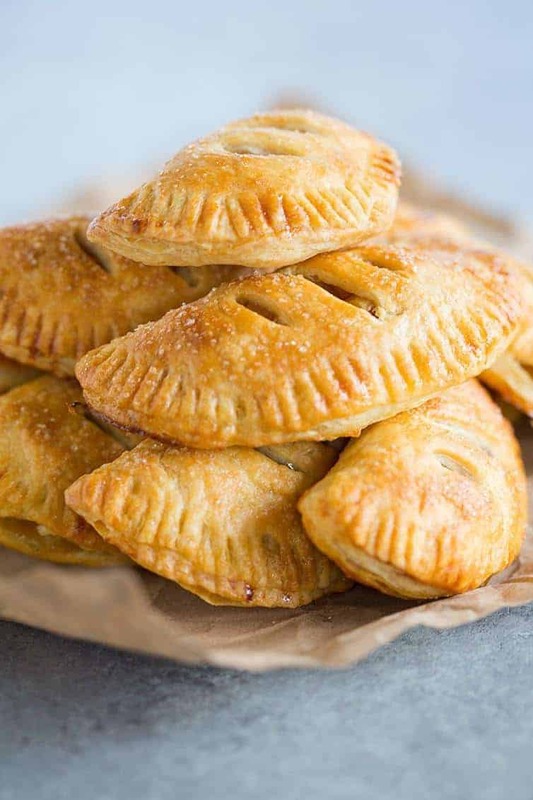 I immediately thought of these hand pies, since they would be much easier for him to eat than a slice of apple pie, and I got baking! The dough for this recipe is really just incredible. I admit that I was somewhat skeptical at first, as it contained sour cream. I had never heard or seen sour cream used in a pie or pastry dough before, so it certainly caused me to raise an eyebrow. But like the good trooper that I am, I forged ahead. This dough has such an incredibly buttery, flaky texture, much like that of a laminated dough you would create for croissants. When you bite into one of these pies, the crust just flakes and shatters, which is basically a crust-lover’s dream come true. The original recipe required A LOT of time chilling ingredients and the dough at different steps, which I have now condensed a bit. I didn’t find there to be any reduction in the quality of the final crust by doing so. I also made the dough mixing step a little easier to execute, as well. I added a little cinnamon to the filling – I can’t believe I left it out originally! 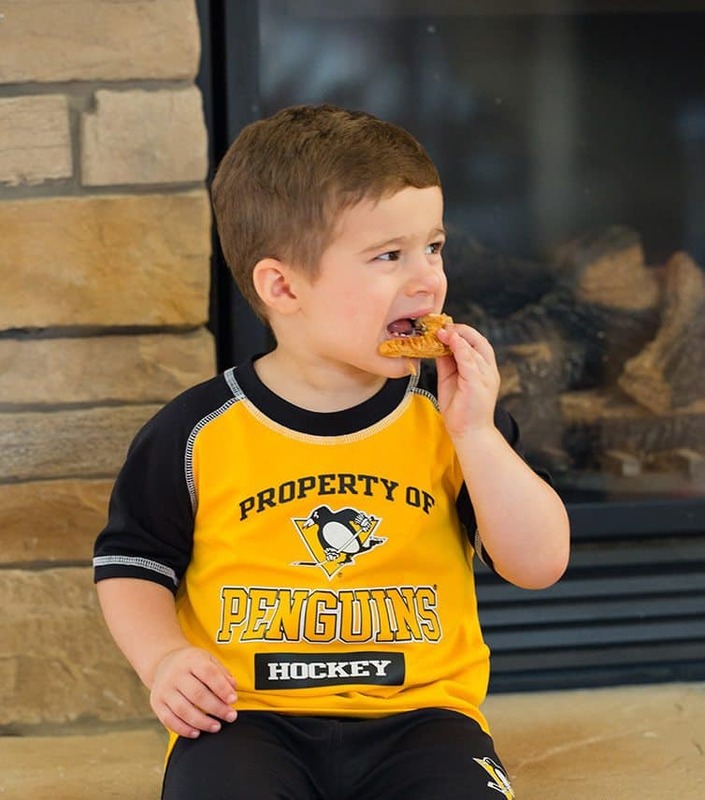 I gave him half of one and he went over and sat on the fireplace, took a bite, and said, “Mmmmmmmm!” He polished it off quickly and then requested the other half. I’m so happy that I could make his apple pie dreams come true, ha! 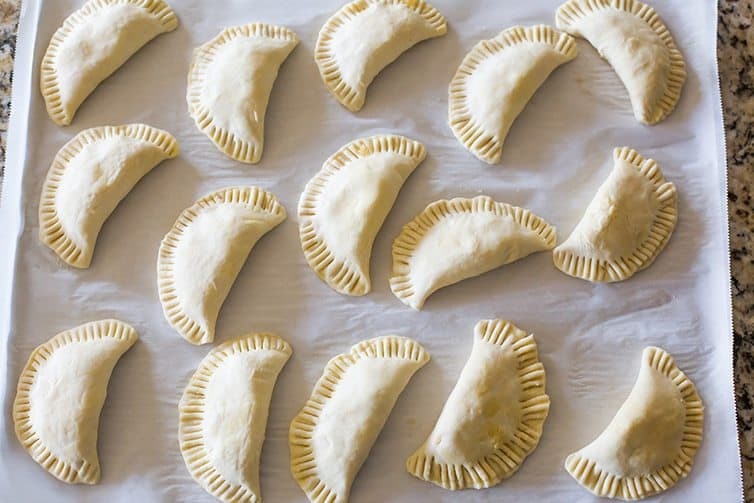 These hand pies are a fantastic option for changing up the traditional slice of pie and ice cream and would be especially welcome as a dessert at an outdoor gathering or one that included small children. And really, for the kid in all of us – what’s much better than a slice of apple pie that you can pick up and carry around with you? 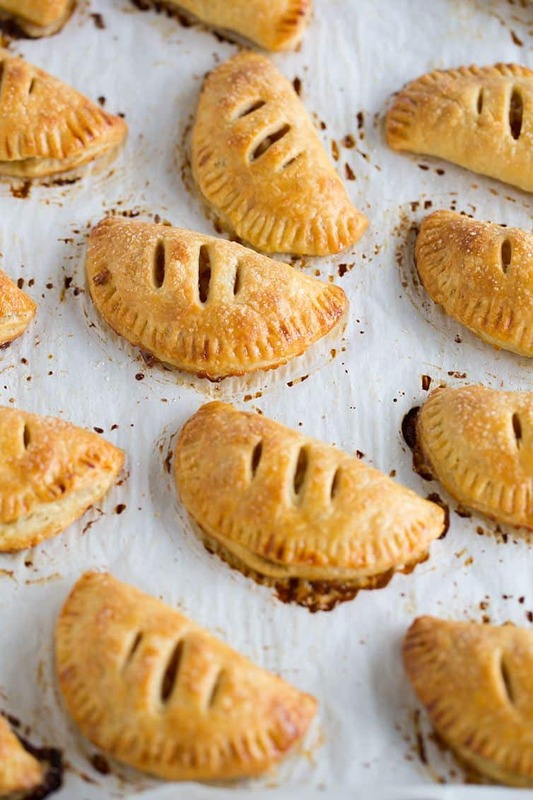 Portable apple pies with a super flaky crust and delicious apple filling. Feel free to use any type of apple you'd like in this recipe, as it's quite forgiving. I've used Granny Smith, Gala, and Honeycrisps! This recipe was originally published on October 15, 2008. I made these for my DH today to use up some freezer apple pie filling I need to use up. At first the dough was really crumbly so I had to add a few sprinkles of cold water to get it to roll out. 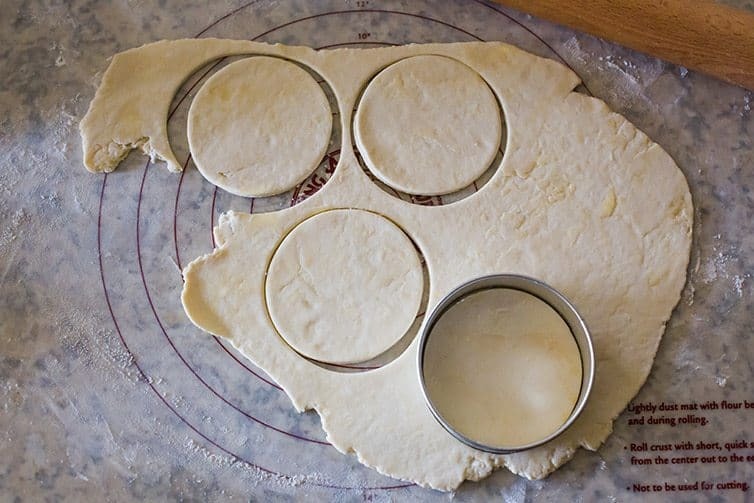 After that, the dough rolled and cut beautifully. I had to drain and cut my pie filling so that i could measure the filling for the pastries. I could only get 1 Tbsp of filling in each pie and it still wanted too ooze out. Even though I used a fork to crimp them shut, everyone burst at the seam. I think an egg wash around the edges would help to seal them better. 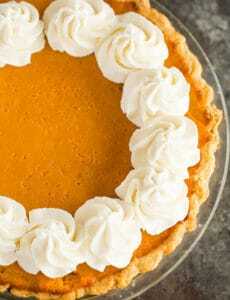 I brushed the finished pies with cream and sprinkled with raw sugar for a little sparkle. No matter the burst seams, DH will be in heaven when he enjoys them. I’m not sure I’ll do these again though since it took all afternoon to complete the treat. The BEST pastry I have ever used for hand pies! 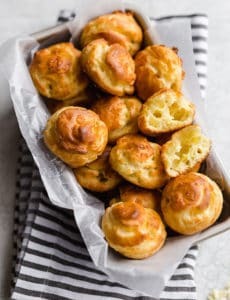 So flaky and easy to make. I found I didn’t have quite enough filling, so I would suggest adding an extra apple. These were a big hit with my pre teens and husband! Hey! I’m making the dough and it’s oddly very sticky. Is it supposed to be like this? I made these for my parents and siblings and they loved them! I didn’t have butter so I used vanilla greek yogurt and they were still super fluffy and soft. These turned out really well, but I think that you must have some giant apples since I diced three pretty decent sized apples and was still a tiny bit short on filling. I didn’t use all of the sour cream/ice water mixture (only needed about half). I can’t imagine how sticky it would have been otherwise! I was impatient, so I used the freezer to chill the dough after the initial 1 hr chill in the fridge. The pastry is delightful and much better than I had expected. I cannot wait to use it for other recipes. The apple mixture was decent, but I think I’d like to come up with something with some thickened sauciness in the mix like a traditional pie. Overall, I was delighted with the recipe and can’t wait to use it again. I can imagine the flavor being even better when apple season rolls around. 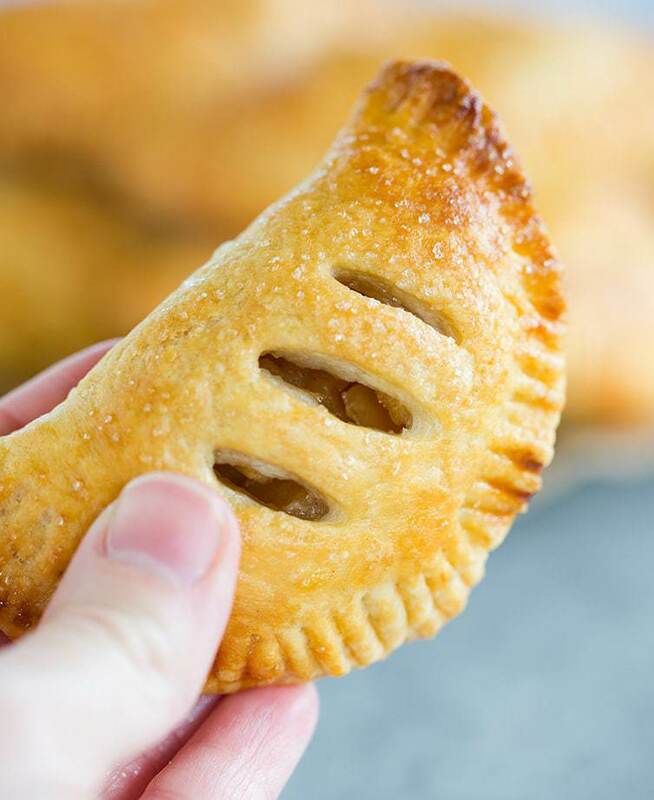 Just found your site when Googling “apple hand pies”. Since I had store-bought pie crust, tried first that way. Excellent! Next batch will be the right way-crust sounds great. And love the pic of your boy!